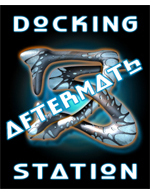 Docking Station Aftermath was opened in March 2003 by Mark Stamps as a point of contact for all Creatures fans. The forum was used to keep the community apprised of any official news as Creature Labs closed and later Gameware Development bought the rights to the Creatures series. It is still used as a support forum today. This page was last modified on 18 July 2016, at 20:59.